This hack is made by me and Ascaska. This hack used to be a team hack, until Ascaska decided to quit (well, he lost interest in it and pretty much gave the hack to me, but I can still use the levels he made.) I THINK he quit, i'm not too sure since he never really responded back. But i'm pretty sure he did. Don't worry, I will credit him when the hack is released. An evil organization called the desire thieves want something (cannot tell you what is it and why they want it yet...) that grants the user tons of power. Of course, this requires a person with a pure heart (Not THOSE pure hearts) in this case, it's peach. So they kidnap her and Mario and Luigi find out and they chase after the villain. 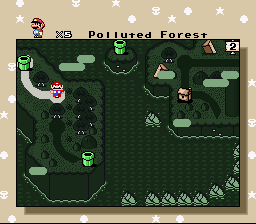 The overworld, made by yours truly. 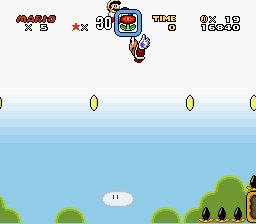 This is pretty much world 1. 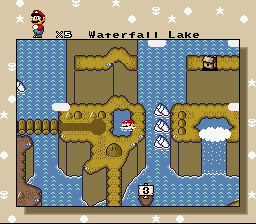 And part of world 9 is visible Not at the bottom right, rather at the top right. 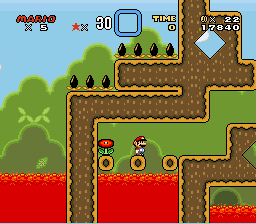 Beginning of level 2. 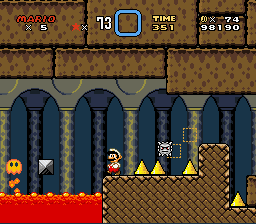 This time, I made the level. Another part of level 2. 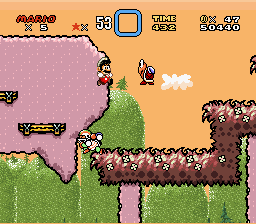 Note that you don't need to jump on parakoopas, you can use the P-switch that you can find earlier. Again, another part of level 2. Somewhere in level 4. (Level 3 is not yet done) This level was also made by me. Somewhere at the end of level 4. Beginning of castle 1. The first half was made by Ascaska. About half way of castle 1. 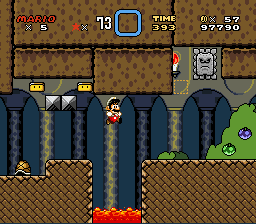 I'm pretty sure I made this part and the rest of the level. Again, half way of castle 1. This part I know for SURE I made it. Edit: Forgot to mention that level 2 isn't fully complete yet. It's only 95% done. Edit2: I've been thinking for a while, and I revised the title of the hack one last time. It is now "A Mario and Luigi Tale: The Universe's Star". This is looking much good, I like it! 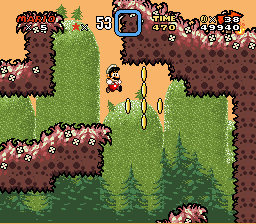 But the second level has a bit of randomness, grass and lava definitively don't fit. Well, judging by the screenshots, you're doing a good job designing these levels and your OW looks good too. Yeah, I was busy doing school crap. Or probably screwing around. Or something. Austin: that was intentional :V They're growing plants in the castle since they really like plants and also since they're idiots. I just ported this hack to a clean one just to insert AddmusicM because the old one didn't use it. Anyways, here are some more screenshots. 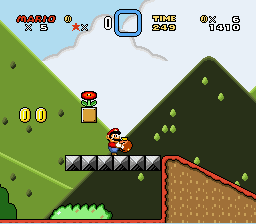 This is world 2. The castle's offscreen. 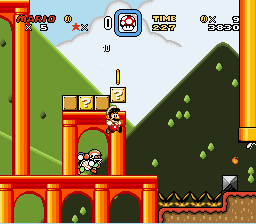 This is world 8. Note: The castle's name is not yet decided. Featuring worlds: 1,3,4,5,9 and 10. What do you think? 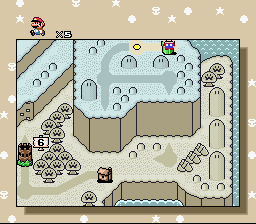 Also, world 8 is in the valley of bowser submap. It causes a lightning sound. Is there any way I could disable that? the main ow is a little bit too blocky. Amazing OW design, but some parts are a bit linear. Also great palettes. Your OW design is very good, apart for some blocky sections, overall it's very good. It causes a lightning sound. Is there any way I could disable that? 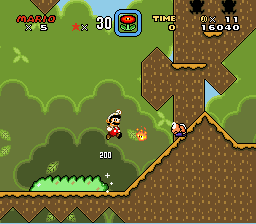 $04F754 (27954) - Change to 80 to disable lightning in Bowser's Valley (no bug), or change to 00 to have an all round lightning effect (everything flashes). Thanks, but now the lightning SOUND effect... How do you change that? 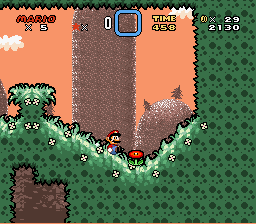 This is a cool hack, but the bushes in a castle look a bit strange. Great looking OW man =D Although the Upper Left and Right on the Main OW could use some work. I advise making both sides there have more design going on. Looks very blocky. Also the center right looks a bit messy. May not be, maybe show a pic with the paths showing? Looking forward to seeing more man, keep it up! 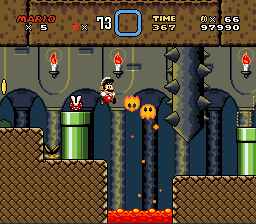 Ignore mario in world 5, that was for testing stuff. Yet linear parts, but you've an amazing OW design. 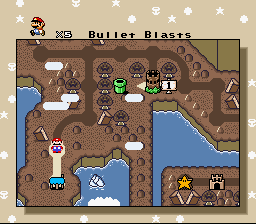 Also nice graphics choice, and, why don't you fix the castle/fortress palette? This looks awesome, especially the detail and effort put into the OW. 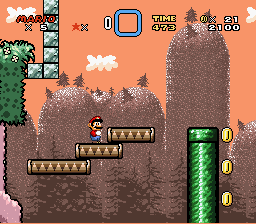 Eh, I wouldn't see the Castle palette as much of a problem; since it matches the lands palette quite well.